We all have a very close relationship with dry shampoo, sometimes too close but honestly there are bigger problems in the world. There’s truly no such thing as having too many dry shampoos on your shelf because no two are alike. That being said, no dry shampoo technique is the same for everyone. We’re sharing all of our secrets to the hidden world of dry shampoo so you can get the most out of your product, and your blowout. First thing’s first you have to pick a dry shampoo that’s right for you. We truly believe you can never have too many options in the world of dry shampoo. Our absolute favorite dry shampoo is ours! Our dry shampoo is clay based and is invisible to the touch and smell, but works wonders! It’ll leave your hair perfect for up to a week so you get the most out of your blowout and it leaves no residue! It’s paraben, sulfate, and sodium chloride free, safe for color treated hair, and of course never tested on animals. Get yours here! 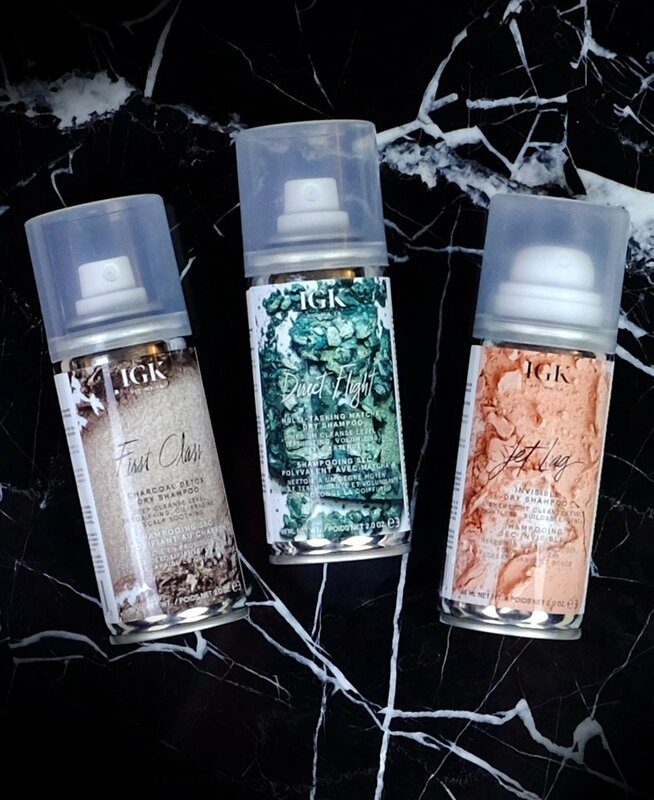 For on the go and traveling we love IGK’s Flight Club Dry Shampoo Travel Set. It comes with three different travel sized dry shampoos. First Class is a charcoal detox dry shampoo, it’s their heaviest formula and allows you to go much longer in between washes especially after a workout. Next is their Direct Flight, it’s their medium level formula and gives you volume and texture while absorbing oil to refresh your style. Last is their Jet Lag invisible dry shampoo, it’s their lightest formula. It’s a gentle dry shampoo that’s great for fine hair to refresh it throughout the day. If you have dark hair and don’t want to worry about any residue, Verb’s Dry Shampoo Dark as you can probably tell from the title, has a darker spray so there’s absolutely no powdery white film. It’s a gentle dry shampoo that will extend your blowout for another day and adds light volume! 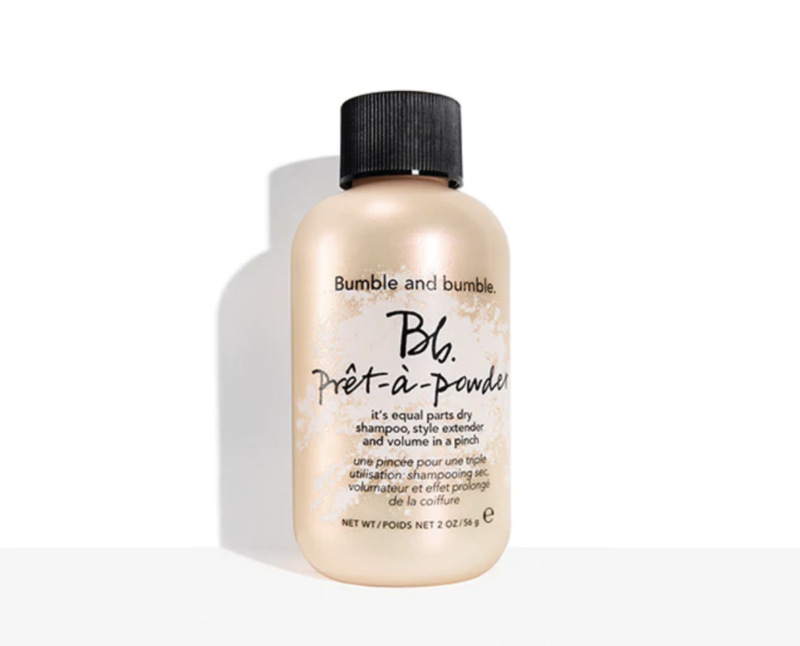 If you prefer a powder dry shampoo than a spray we recommend Bumble and Bumble’s Prêt- á powder. You can shake this into your roots and massage into them or use a little bit on your brush and brush through your hair. 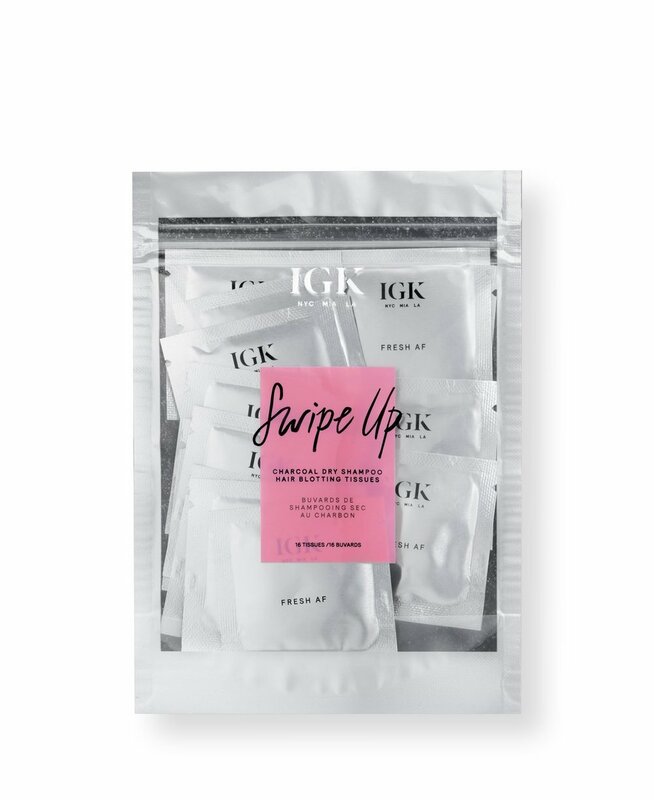 For emergency situations we love having some of IGK’s Black Charcoal Dry Shampoo Hair Blotting Tissues in our bag. They’re portable hair blotting tissues infused with black charcoal powder, just run one towel throughout your hair to absorb excess oil on the go without disturbing your style or your routine. Now what we’ve all been waiting for, the hacks you’ve been missing out on. Let’s start with the basics, the amount of dry shampoo you use. We know it’s easy to go spray crazy but start with a little then build as you need. You don’t want to ruin your blowout with too much product. This will make your hair feel weighed down and can leave product residue which is the last thing you want. Start with a little and see how your hair reacts then you can always add more. 1. If you’re trying to extend your blowout for a few extra days right when your hair starts feeling greasy section your hair and spray the dry shampoo at least 3-6 inches away from the root. Let the dry shampoo sit for about 30 seconds to absorb the oil then massage it into your hair. This will absorb the excess oils without weighing down your hair. 2. If you have fine or flat hair and you feel your blowout getting flat dry shampoo is here to the rescue. Section your hair and spray dry shampoo to your roots. After you’ve sprayed take a blow dryer and work the dry shampoo into your hair, it’ll tame the oil and give you some extra volume! If you’re on the go and you don’t have time for the blow dryer, just flip your hair and spray your dry shampoo. Then wait 30 seconds and massage it in for effortless volume. 3. If you have fine hair or hair that won’t hold a curl or style spray some dry shampoo immediately after curling. This will add some grit to your hair so the curls resist falling. There’s nothing more tragic than spending a ridiculous amount of time to curl your hair only for them to fall moments later. If that’s still not working then we recommend spraying a small amount of dry shampoo before styling your hair! 4. Another travesty that can happen after styling is using too much oil or product and then your hair feels weighed down or looks greasy. But there’s no problem that dry shampoo can’t fix, spray some dry shampoo throughout your hair and it’ll absorb the excess product. 5. If you feel your hair getting greasy at night, don’t wait until the morning to add dry shampoo! Those in between hours of sleeping on your hair will definitely make a difference. Go ahead and section your hair and spray a little bit of dry shampoo to your roots and sleep with your hair in a loose braid. This will definitely give you another day in between washes! Now that you know our secrets, put them to the test! 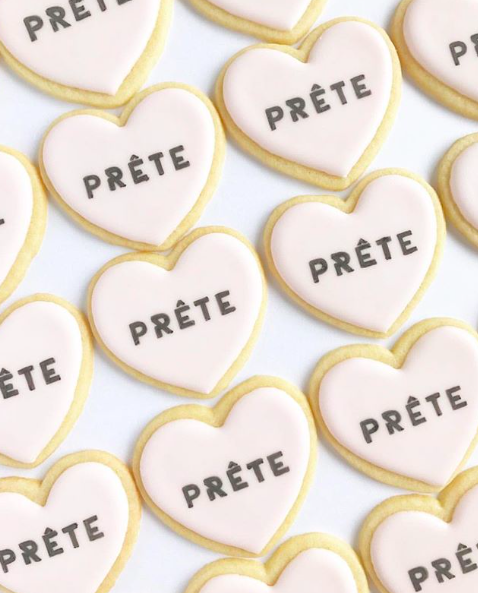 Book a blowout with PRÊTE and have ready to go Instagramable hair for up to a week. Don’t forget to tag us on Instagram so we can see how gorgeous you look!